MomoKakudo is an angle at which Momoka can take its own photograph most lovelily. All the photographs published at her blog are taken from the same angle. There is Application of such a smart phone. 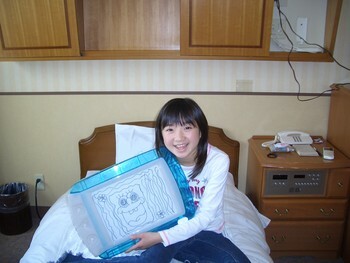 It seems that a photograph can be taken at the favorite angle of Momoka although I do not use. It's not the official Application of Momoclo. Although Momoka used GalaKei(ガラケー), she changed to the IPhone5 recently. GalaKei is the abbreviation for Galapagos Keitai and is a mobile phone of Japan which carries original service and function. The reason which I do not change into a smart phone is that it cannot take a photograph at my favorite angle. Since a smart phone is large, I am difficult to take a photograph. I borrowed IPhone5 from my father and took the photograph. Although my hand was small, I was able to take the photograph with the smart phone. And I placed an order for IPhone5. As to me I realized it and I find it quite funny when you put the pics together! M:I grew up this summer. I:What is the cause which you grew up? M:The live was held in Yonago on June 30. I talked with the member of Momoclo at the night. I:A-rin talked to me about the it before. If you don't mind, please tell me the talk at that time. M:I had kept my distance from them until now. I was pointed out to them about it. I:Why did you keep your distance from them? M:It was visible to the world apart. Because, they do not have a switch of ON and OFF. They are excited at the usual tune at backstage. And they do performance in the state where it was excited. I thought "I may be poor at it", seeing it. Therefore, I decided to keep my distance from them at backstage. I:Although they and your relations are not bad, it means that the life style of you and them is different? Are you a type which wants to use the switch of ON and OFF properly? M:I thought it impossible to continue turning ON a switch. Since I was not frank, I was hesitating to participate in their conversation. I:Did they hope you joined their conversation? M:Yes. I was pointed out to them about it. When I heard it for the first time, the affection to me of them was felt and a word was stuck in my heart. I had a pain in my heart truly. However, I thought that I had to change. People cannot change something immediately. Therefore, I changed slowly. Although I was convinced that it cannot do until now, when I joined their conversation, I was pleasant. I:I interviewed the manager's kwkm in spring. He said about you. "I think that Ariyasu will have applied brakes to herself." "Momoclo will step up to the next stage, when her brake breaks." M:I continue not to lose calmness. I:There was a scene which you say as "I am the loveliest" in the concert of summer. However, you disliked it and did not say it. M:Yes. It was caused by it that we began talks. I:As a result, was it good? M:If we are not discussing, the current situation cannot imagine to me. We wept, and we discussed until voice withered. And the hotel at which we stayed was a five-person room for the first time. We were talking forever like a female high school student's friend. Since we did not have such an opportunity, I became happy feeling by what we discussed. I translated a portion of the interview. Did you by any chance type in the original? Maybe I'll just have to order it and wait. It's issue 105. No wonder she looks so content and happy lately then before. She looks more relaxed nowadays and enjoying herself more. I hope things will continue to get better for them from now on too. Each time she talks about her communication problems, I feel like it is me who is talking. I have the same trouble, even with people I know. I think that is the reason I feel so much close to her. I'd like to buy this QJ!! Awesome momomofu, thanks a lot for the translation. I feel like I'm closer to this group a bit more. 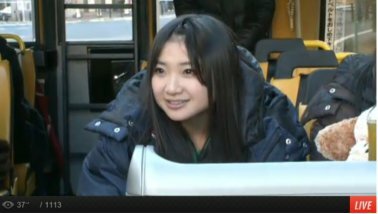 It was leaked that Momoka passed the university examination. Jun Utahiroba of the member of Golden Bomber wrote it to his blog. The blog was already deleted. The comment of blessing is already sent to Momoka's blog. Really!!! I'm so proud of her, I feel like crying! I would like to know what she is going to study. 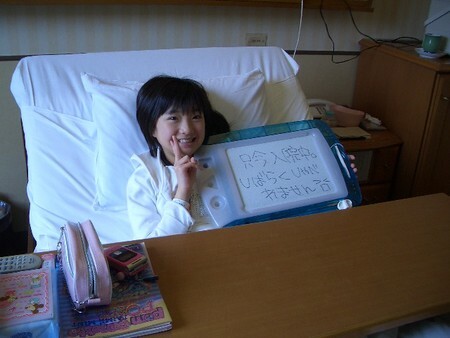 Momoka works without uttering voice for one month in order to treat a throat. Although she has undergone an operation of vocal cords at the age of ten, it is unknown whether it is the same part this time also. Momoclo's voice trainer talked about Momoka. Please do not worry about her. I cannot talk about it. However, her throat will be recovered. She had sung damaging her vocal cords until now.